NEXT | The Queue: It's Wednesday again? Now that Allied Races have arrived on the scene, new alliances have been formed — although not quite as expected. In a twist of fates, the Horde pulled in the Nightborne, ancient kin of the kaldorei. The Alliance in turn managed to garner the allegiance of the Void Elves, former sin’dorei. It’s odd because in both cases, the Allied Races in question were pushed away from the faction one would naturally assume they’d be drawn to, right into the arms of the other side. Both decisions make sense, to a degree. 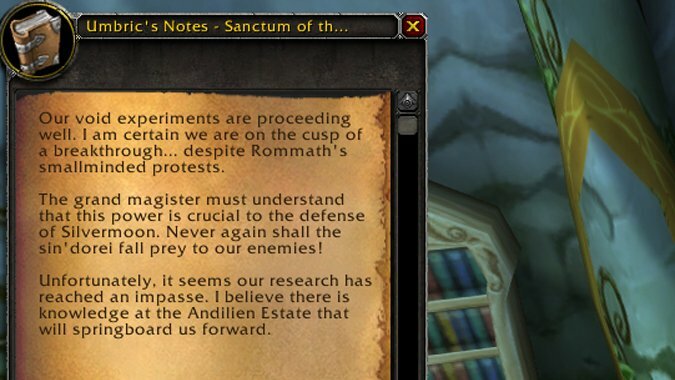 But both also show an appalling lack of diplomacy, and in the case of the Void Elves, almost outright hypocrisy. One has to wonder what the Horde was thinking when it decided to let these valuable allies slip away — or rather, kicked them out the door outright. It’s a situation that deserves a closer look, at the very least. Initially, the High Elves were allies of the Alliance, dating all the way back to the Troll Wars. They sought out the Humans of Arathor as allies, forming a military alliance in exchange for teaching 100 Humans the arcane arts. Because of this, they crushed the Amani and won the war. Thousands of years later, the Humans came calling during the Second War, asking for a rekindling of the alliance of old. Although admittedly less than enthused, Anasterian Sunstrider put forth a token army to help the Alliance of Lordaeron. The token army turned into full-on support once the might of the Horde reached the forests of Quel’Thalas. And once again, the enemy was defeated — but the forests of Quel’Thalas were burned in the process. After the Second War ended, most of the High Elves once again withdrew into their forests, leaving the Alliance of Lordaeron to its own political affairs. There were a few exceptions: those that remained in Dalaran, and those like Alleria and Vereesa Windrunner, who remained behind to help their Human allies. 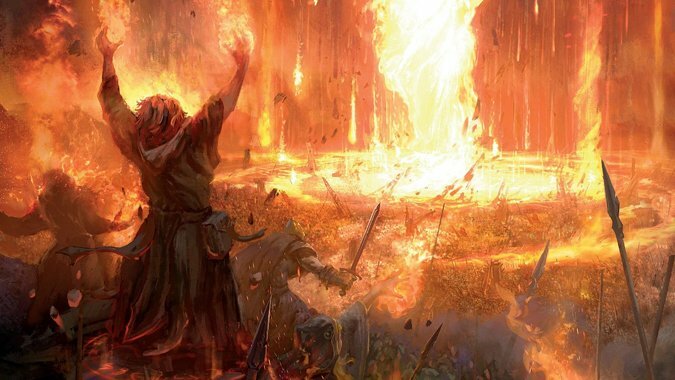 During the Third War, Quel’Thalas was overrun, and the Sunwell was destroyed. Those that survived the attack were gathered under Kael’thas Sunstrider and took the name Blood Elves — sin’dorei — to always remember the death of their king and kin. While most High Elves took the new moniker in stride, those High Elves that remained outside Quel’Thalas kept the High Elf name. It was a very small fraction — but they still remained loyal to the Alliance. This is where history starts to get a little dark for the Blood Elves. Without the Sunwell, the Blood Elves began to suffer from withdrawals, left with an insatiable hunger for arcane magic. Kael’thas promised his people he would find a cure for their condition, and eventually traveled to Outland. There, he allied with Illidan Stormrage, who promised to find a way to sate the Blood Elves’ magical addiction. 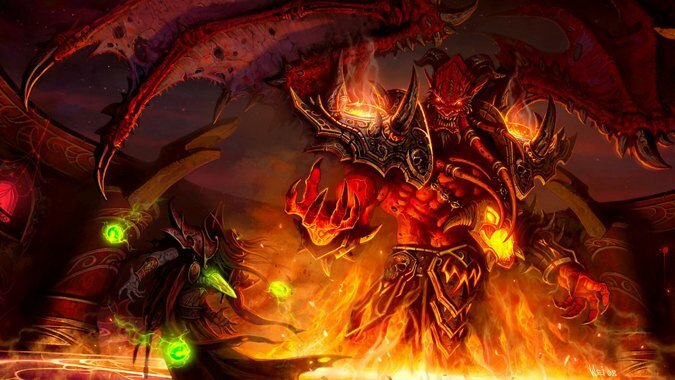 Through Illidan, Kael’thas learned how to strip arcane magic from other sources — including demons. Although he didn’t return to Quel’Thalas himself, Kael sent Rommath back in order to spread these teachings. And later on, he sent a gift for the Blood Elves — a naaru named M’uru. Through their captured prey, the Blood Elves could siphon and command the Light. Grand Magister Rommath formed the first order of Blood Knights with this information, commanded by Lady Liadrin. Meanwhile, Regent Lord Lor’themar Theron — appointed by Kael’thas — struck up an unusual alliance with a former comrade, now Queen of the Forsaken. The Blood Elves formally joined the Horde. And some time after that, they learned the truth about Kael’thas Sunstrider. 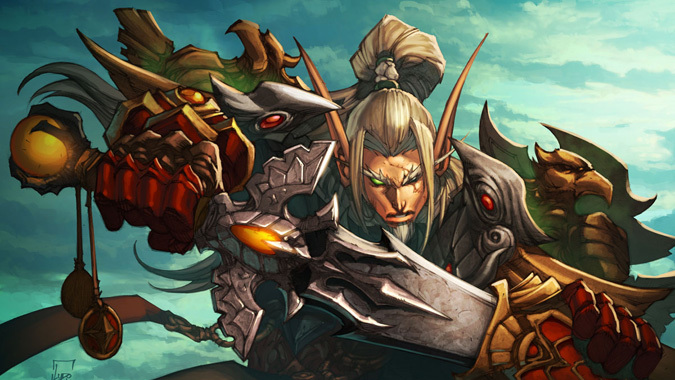 He had no bright future for his people — in fact, he’d allied with Kil’jaeden and the Burning Legion. 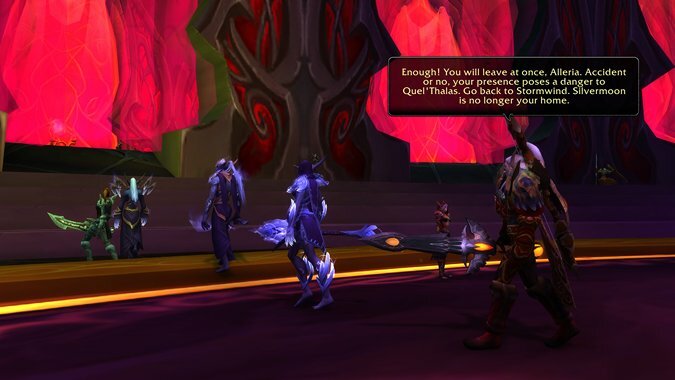 Kael’thas did indeed return to Silvermoon, but it was only to steal M’uru and take the naaru to the Sunwell, where Kael hoped to use the former magical font to summon Kil’jaeden directly into Azeroth. Grand Magister Rommath — who had until that point diligently followed Kael’thas’ orders, was left shattered by the revelation. Here’s the long and short of it: The High Elves were nearly wiped out in the Third War. There was only a small fraction left to take on the name Blood Elf. There were an even smaller fraction of those elves that still held the name High Elf. The Blood Elves allied with the Horde, but they were unsure of that alliance. Sylvanas essentially blackmailed Lor’themar into sending soldiers to Northrend for the war — soldiers they couldn’t really spare. She threatened to remove all Forsaken support from the Ghostlands if Lor’themar didn’t comply — and all Horde support. It left a bitter taste in Rommath’s mouth…and in Lor’themar’s as well. And when Garrosh Hellscream was appointed Warchief of the Horde, the situation got worse. It was becoming increasingly apparent that their so-called “allies” were only interested in the sin’dorei as long as they were useful. Garrosh showed no concern for the welfare of the sin’dorei and repeatedly used them as a means to an end, including sending a dangerous artifact to the heart of Silvermoon for study. All of this left Lor’themar feeling very uncertain. The situation was bad enough that he was considering withdrawing from the Horde altogether. And he might have done so, were it not for the betrayal of some of the Sunreavers, working on Garrosh’s behalf. They earned the ire of Jaina Proudmoore, who expelled every Blood Elf from Dalaran in retaliation. This killed any talks of peace between the Alliance and the sin’dorei. But it didn’t stop Lor’themar from siding against Garrosh Hellscream during the Siege of Orgrimmar. Silvermoon, it seemed, would have to stand on its own for the time being. This is where we come to the curious circumstances surrounding the Void Elves and their place in sin’dorei society. Magister Umbric was determined that the sin’dorei would never again fall prey to their enemies, and sought to harness the Void in an effort to contribute to the defense of Silvermoon. Grand Magister Rommath objected to this, insisting it would pose a danger to the Sunwell. Instead of trying to find some kind of common ground, he had Umbric and his followers banished from Silvermoon. In the Ghostlands, they continued their research. Meanwhile, Alleria Windrunner made a return to Silvermoon. To her, it had been over a thousand years since she’d set foot in the city. Indeed, enough had transpired in her absence that it likely looked like a thousand years had passed. Alleria missed the events of the Third War, the destruction of the Sunwell, the formation of the Blood Elves, the betrayal of Kael’thas. She missed the Sunwell’s restoration — no longer solely an arcane font, but suffused with the Light as well. And she missed her people’s induction into the Horde. What Alleria knew, stepping into Silvermoon again, was that the Alliance was actively seeking allies. And she thought that perhaps the sin’dorei would be receptive to the suggestion. Instead, she was rebuffed — rudely and abruptly — by Lor’themar, her former comrade and friend. 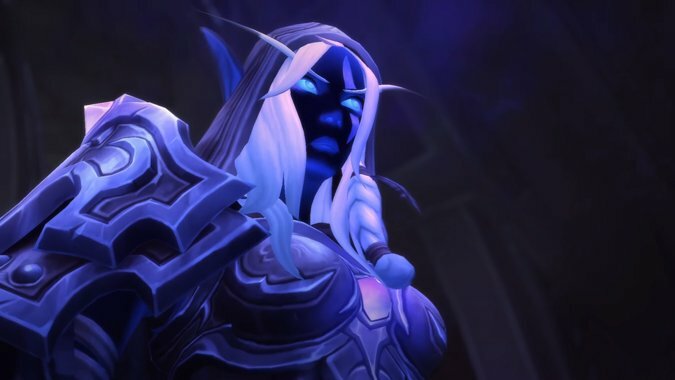 When she questioned whether Lor’themar was speaking for himself or her Forsaken sister, he pointed out her connection with the Void. Yet he wasn’t completely adverse to her presence. When she asked if she could at least see the Sunwell again before she left, he agreed, against Rommath’s wishes. Unfortunately, Alleria’s connection to the Void, combined with her proximity to the Sunwell and its newfound Light, drew the Void to her location. An unseen presence tried to use Alleria as a vessel to corrupt the Sunwell. And while they were successful in halting the attack, Rommath’s point had been proven, one way or another. Alleria was summarily banished to Stormwind for her part in what had happened. But she wasn’t the only banished individual — remember Umbric and his followers? Alleria decided to seek them out. She helped them defeat the unseen presence that had threatened the Sunwell, and offered them her continued aid and guidance. Where she led, they followed — right into the arms of the Alliance. While the Alliance might not necessarily trust the Void Elves implicitly, they are at least willing to listen. And as long as the Void Elves continue to display a mastery over the Void, they’ll prove useful allies. But where does this leave Silvermoon, and the sin’dorei? Next week, we’ll take a closer look at Silvermoon politics in the wake of Legion, and the potential fallout from an internal schism the Blood Elves can scarce afford.